How it all started …. In late 2003 we visited CEBIT in Sydney, at the Korea Trade-Investment Promotion Agency (KOTRA) exhibit was a small company, Megarobotics, selling serial controlled servo motors – these modular serial controlled motors (AI-series) could be made into small humanoids and quadrupeds. We immediately recognised how revolutionary these devices would be …. so we enquired about sourcing some for our local University. A day or so later the person who we’d spoken with called us and asked if we’d be interested in being a distributor for Megarobotics. We’d never really considered starting a business, but it turns out that the person we had been speaking with was Jason Yu – a Sydney-based accountant who spoke both Korean and Japanese …. Jason said he’d join us in the distributorship to help us out. Then, to show us MegaRobotics were interested their CEO and lead engineer came to visit us in Sydney…. our initial meeting went well, so Peter, Steve & Jason all jumped on a plane to Seoul, negotiated to be Megarobotics first international distributor and our company was born. Then we faced the problem that everyone company faces – what will we call ourselves? One of our wives came up with the name Tribotix because there were three of us who were interested in Robotics and Electronics. So in early April 2004 Tribotix was formed. then we met Robotis …. 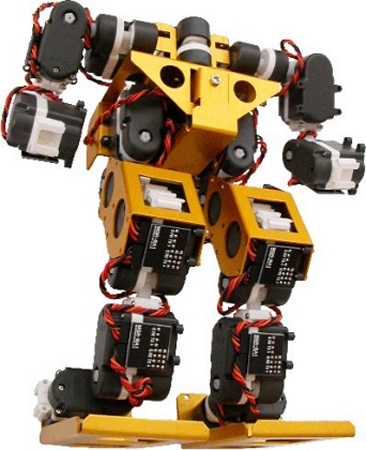 Soon after forming the company, we found another Korean company doing serially controlled servo motors – Robotis. Megarobotics AI modules had small’ish torque with plastic gears, but Robotis’s modules were stronger, had Maxon motors with metal gears …. they were the DX-113’s and were used in the CycloidII humanoid. We then negotiated to be Robotis’s distributor, the first outside of Korea, and a great relationship between our two companies started. Back in 2005 there was one robotic kit that dominated the school market (and in many ways still does). 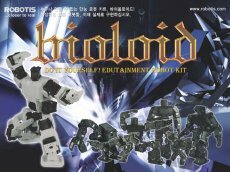 Robotis’s release of the Bioloid kit in late 2005 was the first viable alternative educational robotics kit – somewhat revolutionary as the software was FREE, software wasn’t icon-based but a subset of the C programming language and legged robotic motions could be created in a simple GUI-based software suite that easily linked back to the C programming. 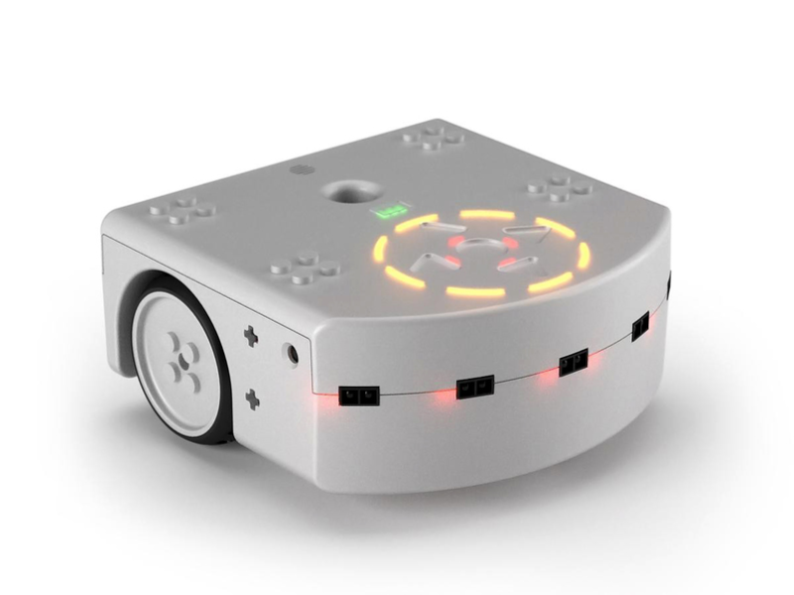 The Bioloid kit has continued to be the standard robotics kit for legged robots and is currently being used in many, many gifted and talented programs within the educational systems in Australia and New Zealand. then 3 became 1 …. In 2008 two of the founders of Tribotix, Steve and Jason, decided to leave and follow other paths. We thought about changing the company name from Tribotix to Unobotix – but this was just a moment of stupidity. Since 2008 Peter has been the driving force behind Tribotix’s continued growth, we have participated in some pretty demanding design projects and achieved outstanding results. and our story continues …. We are proud of what we have achieved thus far, but there is much more to come. We are genuinely proud to be part of the robotics community within Australia and New Zealand – we give back to this community by sponsoring the key robotic organisations and conferences in our region, supporting University based robotic teams and competitions and giving to worthwhile charities. We are continuing to add to the range of products that we sell to the educational market and the maker community. We get asked by a lot of companies to distribute their products, but we only take on products that we consider to be innovative, reliable and cost-effective …. this is something that we think sets us apart from other companies. The support that we offer our customers is something that we pride ourselves on, and we look forward to growing our educational side of the business by offering unique educational project-based learning and starting weekend and holiday robot camps for students who want to get ahead of the current school systems take on STEM education.